Tarps Plus Blog: Do You Need Aire Retardant Tarp? Tarps Plus carries a wide selection on fire retardant tarps bringing you a large variety on sizes and different color options. The fire retardant tarps are Government official fire retardant tarps with the CPAI-84 specification also our fire retardant tarps are certified by the California State Fire Marshal. 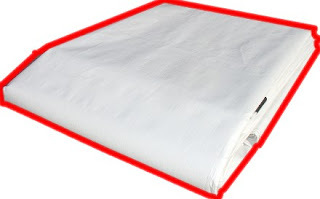 These fire retardant tarps are specially treated and comply with NFPA 701, CPAI-8. These fire retardant tarps have passed at strict part 2 testing and are 100% reliable they are great with protecting against static electricity and all tarps come with California State Marshall tag attached to the tarp. The Fire Retardant tarp are heavy duty 6.0 oz per square yard, 1200 denier, 14x14 weave count, UV protected, grommets every 18 inches, water proof, mildew proof and tear resistant. Take advantage of our sales and take home your fire retardant tarp today and save green on your purchase. Great Fire Retardant Tarps! I was required to have a fire retardant tarp for my show and this one was exactly what they were asking for. It even had the tag on the tarp. These fire retardant tarps are excellent , I love them! I ordered a fire retardant tarp last week and was amazed when I received It. Its quality is the best Ive ever seen. Thanks tarps plus I will be definately be ordering from this company again. Thanks for delivering our fire retardant tarps right on time! !